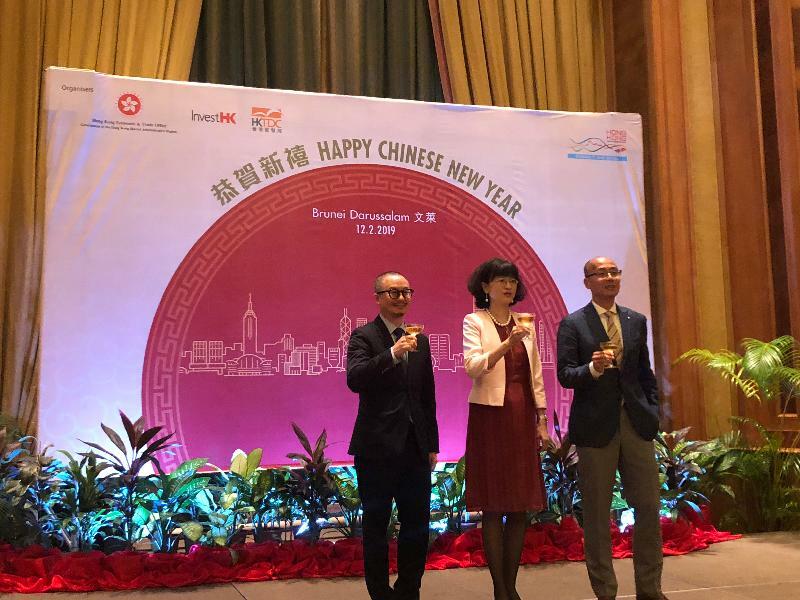 The Hong Kong Economic and Trade Office in Jakarta (HKETO Jakarta) hosted a spring reception in Bandar Seri Begawan, Brunei, tonight (February 12) to celebrate the Chinese New Year and promote bilateral relations between Hong Kong and Brunei. 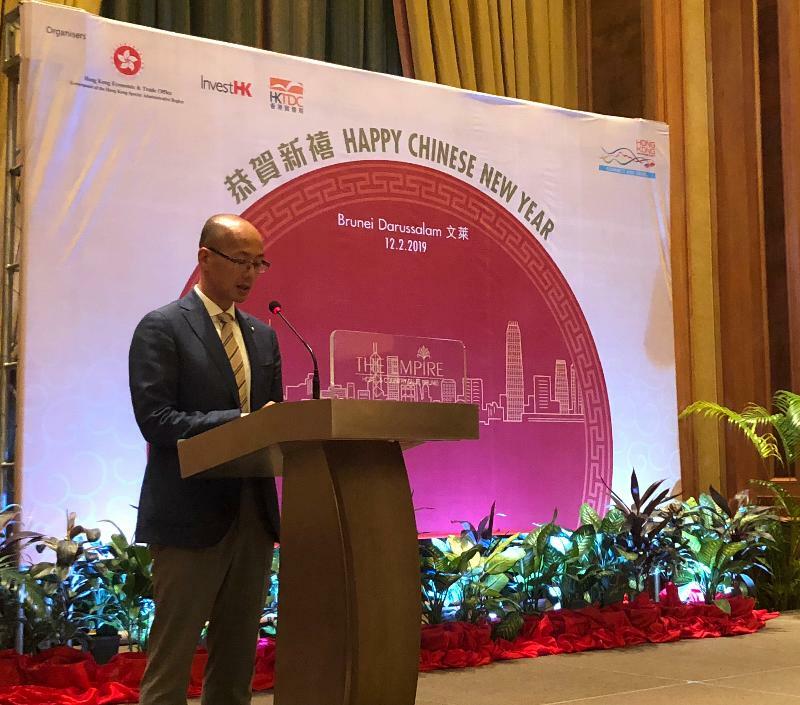 In his welcoming remarks, the Director-General of HKETO Jakarta, Mr Law Kin-wai, highlighted Hong Kong's business advantages and promoted the ample opportunities under the Belt and Road Initiative and the development of the Guangdong-Hong Kong-Macao Greater Bay Area. He also briefed the guests about the latest economic and social situation in Hong Kong, and garnered their support for HKETO Jakarta, Invest Hong Kong and the Hong Kong Trade Development Council (HKTDC) in promoting closer exchanges between the two places. The Ambassador Extraordinary and Plenipotentiary of the People's Republic of China to Brunei Darussalam, Ms Yu Hong; the Regional Director of South East Asia and South Asia of the HKTDC, Mr Peter Wong; and over 100 key local business representatives and guests from the Bruneian community attended the reception, sharing the joy and well wishes with each other in the festive season. HKETO Jakarta will be holding further Chinese New Year celebration programmes in other Association of Southeast Asian Nations countries under its purview in February and March.